Allow me a brief moment of wistful nostalgia if you will. You will? Oh, thank you, sir or madam! See, it used to be that you could buy comics ANYWHERE. Grocery stores, drug stores, stationary stores, toy stores, tire repair shops…okay, maybe not tire repair shops, but the point is, they weren’t confined to comic book stores. They were simply regarded as another form of readable entertainment that the casual reader would, and could, pick up at any point and enjoy. So consider that scenario as I recommend ONE single issue of Captain America to you. You don’t need to know much about Captain America going into Captain America #601, but they provide you with a recap of his origin just in case. Then…well, then things get freaky. Vampire freaky. Cause Captain America’s not just a squeaky clean boy scout. He’s a squeaky clean boy scout who occasionally gets his shield dirty with vampire blood. 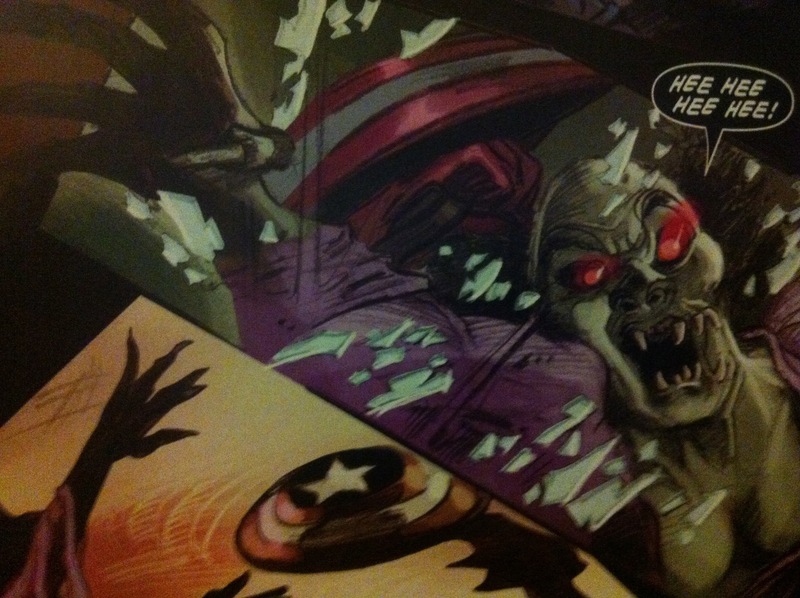 Yup, that’s Captain America decapitating a vampire with his shield. If your response was, “That’s awesome!” congrats, you’ll love this comic book. 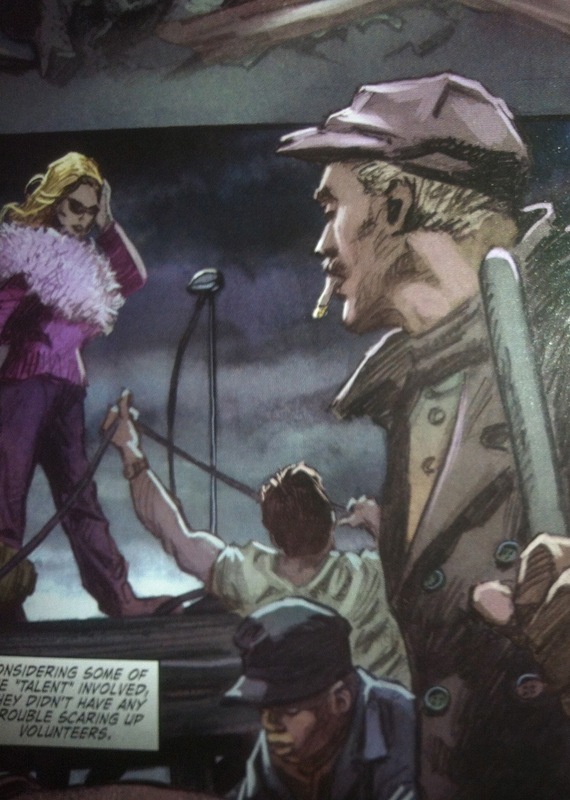 In this tale by Ed Brubaker and Gene Colan, someone’s turning US troops into vampires. Captain America and his sidekick Bucky (no, not Buffy…nerds), learn that it’s not their first suspect Baron Blood (a Nazi Vampire…or is he a Vampire Nazi? ), nor is it their second suspect, a Hollywood starlet on the USO tour. Baby, you got REAL ugly. Nope, it’s a creepy, long-dead village girl (isn’t it always?). 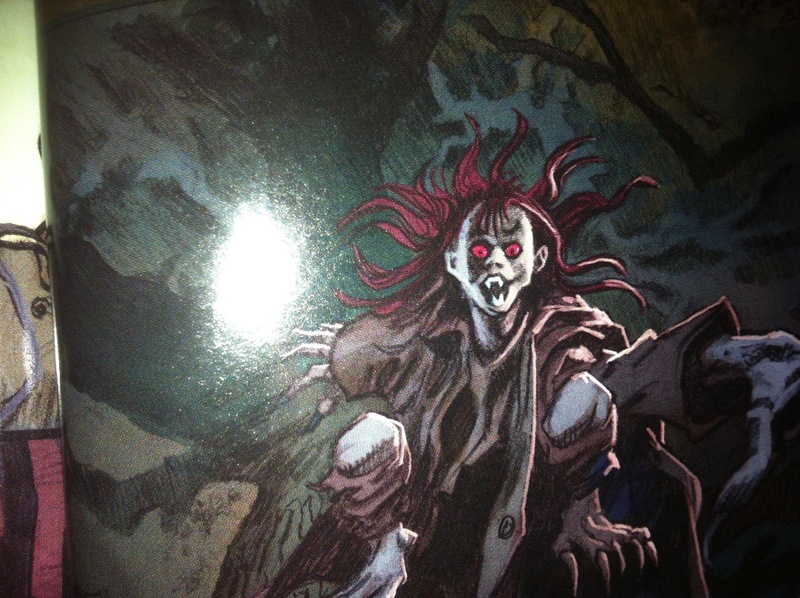 There’s an old gypsy lady in this tale too, it’s a smorgasbord of horror tropes. Distrust, red herrings, blood, and gypsies: the four key ingredients to a good horror tale. Then those basic horror ingredients are thrown into a pot with Gene Colan’s crazy dark and beautiful art, and they’re taken up so many notches that it is no longer measurable in notches! The story is framed as a flashback, and Colan’s pages play loose with panels, the imagery of every panel bleeding and fading into each other giving it a nightmarish quality. This comic’s a few years old, but you can likely dig through a back issue bin at your local comic book store, or you can get it on Comixology for a mere $1.99. If you like it, I do recommend checking out more of Ed Brubaker’s work on Captain America, which is a pretty tight and moody spy thriller. Or, if you’re just in this for the vampires, then I recommend checking out Marvel’s Tomb of Dracula series, which features a Dracula as wily as Christopher Lee’s Dracula from Hammer Film’s 1970s series of films. (Set a record for typing Dracula in a sentence? Check.) 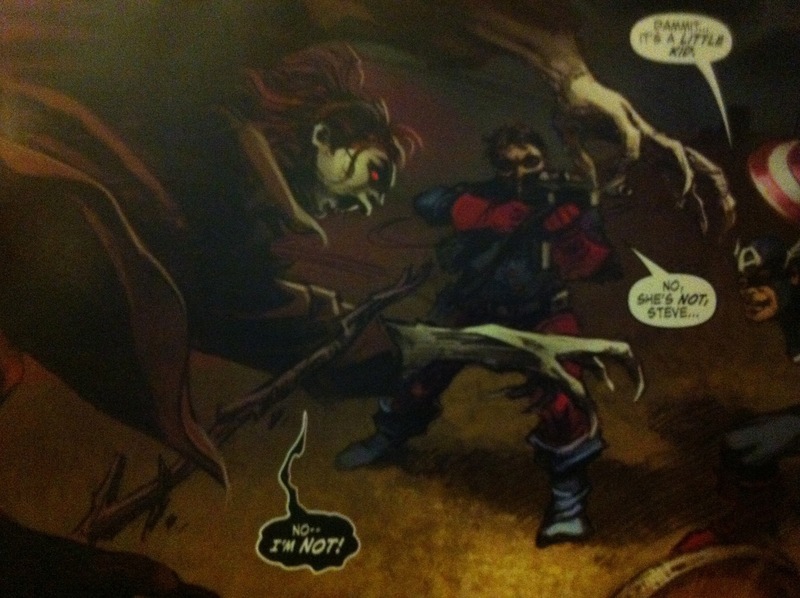 You just can’t keep Marvel’s Dracula down. You can also pick this up on Comixology, and it features more art by “Great” Gene Colan. So, if you like epic genre and character mashups, I recommend you READ THIS COMIC!